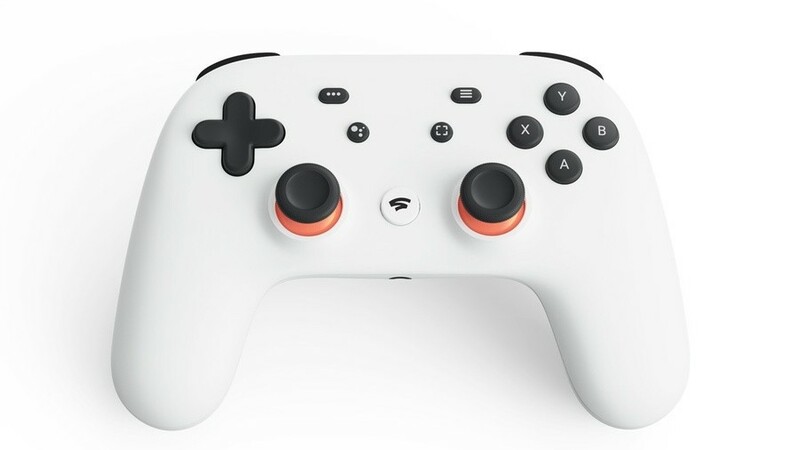 Google's upcoming Stadia platform is set to allow users to stream games across pretty much any screen - mobiles, TVs, tablets, and laptops - and looks like it could make a significant and very different dent in the gaming industry when it launches later this year. It features plenty of impressive-looking tricks (like being able to pick up where you left off on another screen and its local multiplayer Stream Connect functionality), and it would appear that investors are feeling concerned about the future of dedicated consoles. The two Japanese gaming giants, both of which are currently enjoying success with their traditional console platforms - Switch and PS4 - saw shares fall by nearly 4% in early trading on Wednesday. We regularly see Nintendo's shares fall and rise back up again, often by strangely large amounts in both directions, so this isn't a particularly new issue, but it's interesting to see how investors have reacted to Google's plans early on. Do you think Google's new platform will have any major effects on Nintendo? Do you think it will change the way in which players enjoy games going forward? Share your thoughts with us in the comments. Stocks are the things that go up and down, right? The only thing I know about investment is how much money I’ll be investing in Switch games this year...too damn much! Yeahhhhhhhh, once MS comes through with its own streaming service and itll be presented as optional and compatible with Nintendo’s system, things will be of a different tune. The begining of the end for physical releases. Next they'll be streaming sustenance to our bodies via an IV drip. 4% is not enough to start panicking over. Stocks rise and fall all the time. This indicates nothing. @ReaderRagfihs Yep! I've been stuck on a 4mbps download speed for about 6 years and with no plans to upgrade the infrastructure any time soon. I'm only 5 minutes away from the exchange too! Note to self; trousers drop on business news. Watch Google abandon it in 18 months. Nintendo, Sony and Microsoft (and now Epic on PC) have realised that content is what matters. All Google have done is advertised a concept, and it's a concept that has failed or flatlined multiple times in the past. 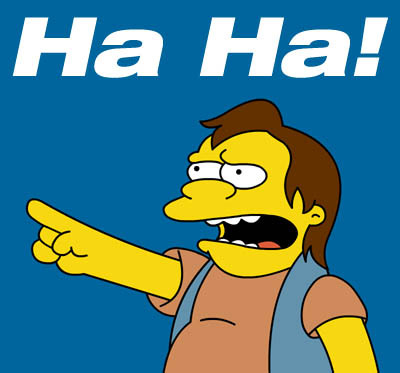 @ReaderRagfihs That should be Nintendo's official response. They know NOTHING about the True Video game machine. @ReaderRagfihs Exactly. I couldn't cope with the lag in wired Steam Link connection, I can't imagine Stadia will fare any better. Last time Reggie sneezed stocks went up with 5%, so I'm sure they'll be alright in the end. You know nothing investors. Time to buy! @ReaderRagfihs most broadband is 100mbps easy. The big problem is even areas just outside of a city don't have these connections. I was amazed to discover an area outside of my city has to rely on radio relays for internet. And they pay $50 a month for 5mbps. But I figure they probably don't play any games online at that rate. should have gone up 4% based on yesterday's Cuphead announcement! Personally I think Stradia just looks like a worse option to the Nintendo Switch. I mean Sony have already tried that with the PS Vita and that failed hard. Stradia also doesn't have a single game which makes it worth picking up. My guess is stradia might become somewhat relevant eventually. But I think it will apeal to different people than those that pick up the current consoles. This happened days ago and was in all the paper and websites. ...And they'll go up again...and down again...up...and down...and around and 'round.... But hey, this is the time to buy those stocks! I recently went from a 300mbps connection to a 50mbps one (which is often more around 25mbps, more or less) because my previous ISP kept raising the prices to ridiculous levels. This (50mbps) is enough for my current needs right now, it only takes more time when we download stuff, but I can still stream Netflix in 1080p, while the kids are watching stuff on YouTube. So that's still fair. We're litterally going from "put the disc in and play" or "start the downloaded app and play", to ... "ensure that no one is doing anything else in the house and pray the lord there's no connection issues and MAYBE play". Wow. Some improvements. Hail the "future of gaming". Until broadband speeds and reliability, specifically with WiFi, become as reliable as gas and electricity being pumped into my house then maybe, just maybe streaming games will be an option. Lag is fine with a movie or music, but when introducing inputs into the equation, it slows everything down. Google is about 5-10 years early with this and such anyone putting money into this, is a little bit mad. I can only speak on what I know and I can say this with the utmost confidence, a gaming platform based on streaming games, with zero hardware aka a physical console, will not work in America. Maybe in other parts of the world with better and more stable internet connections, places where ISP'S don't throttle their customers and give them data caps but not here folks. Not anytime soon. ISP's in America are trying their hardest to buy politicians off in hopes that one day a bill can be passed that allows these companies to treat the internet as a utility such as water and electricity. It will be a dark day in America if that ever happens. "And they'll go up again...and down again...up...and down"
Man I hope this will turn out to be a success. Amazing stuff. Strange reaction but I guess that's the stock market for you. Granted I am a little more sold on Stadia since watching its reveal. If it can deliver on its promises of course. Why do you never report when they go up? And why do you even report when the drop is not that significant? Do you even know how these things work? Wow, Nintendo stock as low as it was 7 days ago. Nintendoomed! Nintendo will always be the best! So good luck google. It's hilarious how little people who invest actually know about what they're doing. This is when you buy like mad. Gamers don't care about always-online platforms. Offline has a solid foothold and will have that for many many years to come. I want Stadia to thrive. Better yet if it comes to the Switch. Can you imagine the possibilities? This console isn't gonna do well. I can already tell. Here's where I stand with this whole issue and it's the last time I'm gonna talk about it: Whether or not this takes off is of no consequence to me. I have heavily invested in my Switch and library of games, and I have a backlog that would take me well into the afterlife to actually complete...and it's growing lol. While I like a handful of "big fancy graphics" AAA type games, I am also a massive supporter of the indie scene and the majority of what I play are indie games and/or less mainstream stuff. The Switch provides me with all of the experiences I enjoy, and it fits into my life wherever it needs to. With all that being said, I plan to stick with my Switch because I love it, and I want to support it and the community that has built around it. From the players like me (30 something long lapsed gamers) to the indie devs pouring their heart and soul into making amazing games...the world the Switch has helped to cultivate is something that I don't feel can be duplicated and I want to nurture that and be a part of it. There will always be a new, flashy, shiny thing but what are my fondest gaming memories? Getting my original Game Boy, staying home sick when I was a kid and playing Aexlay all day on my SNES, getting wrecked playing GoldenEye on 64 and experiencing a 3D platformer for the first time with Mario64. I've had other consoles, but nothing has compared to Nintendo and the Switch takes ALL of that and wraps it into one insanely cool package. So, Stadia might be cool and it might be a success, or not..I have no idea. I just know that I don't particularly care because I'm happy with what I have and I hope Nintendo continues to let the Switch grow and shine for years to come. 25 mbps? Stream on, my sweet summer child. With this, yesterday I tried psnow in my laptop.... Street fighter... Ok, this clearly a NO to me. I have 100Mbps connection... It was like a 56k connection stream of 3gp movies.... Squares anyware... input... to far from playable. I don't like the idea of needing a constant internet connection just to access my games, let alone play them, so I won't be buying into this. ...then rise back up as an investor's internet signal drops during a Stadia test. Not interested in the Stadia at all - I have plenty of consoles and my gaming laptop to keep me busy and I don't like the idea of streaming games. Plus, Google's really trying to cash in on every market imaginable, aren't they? **For upper-middle-class yuppies in the "right" zip-codes/boroughs in elite coastal cities. Some exclusions apply. Meanwhile the rest of the world will keep doing what the rest of the world does. If only some company had brought Gigabit fiber to every home in America. But there was a company that tried that, realized it was impossible, was irresponsible money dumping, and there was no way to wrest government sweetheart deals from Comcast-Universal-NBC. Oh, yeah, that company was Google. A few years before introducing a game streaming platform that essentially requires fiber. It's like Google doesn't remember the 2001/2002 AOL Time Waner merger at all. Big data seems to envision a world that the people that run the wires can't really see happening, ever, they seem to envision a 17th century world where only cities exist and everything outside the city is farmland that doesn't need to function in an urban life. And everyone seems to think wireless will solve everything without factoring in that wireless is radio and has all the limitations radio has had since the 1920s, and unless we can change metaphysics and mold time and space, that wont' be able to change. So when do XBox Two and PS4 pre-orders open again? @ReaderRagfihs It should work if you are one of the 12 people who have Google Fiber. We should get it by 2095 in the UK. At most, this is just your typical knee-jerk reaction from the gambler types who always panic. It's barely news, I say. That doesn't even begin to make sense. How could something that’s barely been explained cause nintendo and sony’s stocks to drop 4%?! NINTENDOOMED! We'll see how long the Stadia lasts. This is probably the biggest shake up to the dedicated gaming platform industry (i.e. consoles) since 2001 when Sega dropped out and MS released the original Xbox, hence lower stock prices. Streaming services like Stadia, XCloud, and PS Now are here to stay and will steadily improve over time and could definitely be seen as an alternative to dedicated native hardware. I think where gamers need to take heed is if companies like google and the AAA big boy publishers attempt to position these services as out right replacements for consoles and PC. Physical media will eventually wind down completely albeit probably the generation after PS5/Scarlet. But if the ability to purchase games out right even digitally and not even save and install them to your local system gets taken away, that's where the gamers needs to put their foot down and vote with their wallets and not support these services. I don’t think this new service poses much of a threat. Many of us prefer traditional hardware and ownership of our games. I get this is a nintendo site with nintendo fans but there sure are a lot of skeptics in here. I remember when satellite radio was introduced. I didn't think that would work. I collected Blu rays when netflix was starting to grow. There's a very real possibility if both microsoft and Google are investing here that this may in fact work. Whose to say nintendo won't do the same thing in 5 years? Will then everyone jump on board and say it's cool? I just don't see anyway this is successful right now, it's going to be years if not even possibly a decade or more before internet reaches the point where we can reliably do gaming through streaming, unless some new internet technology hits that can spread higher speeds out further. I never thought I'd go all digital yet here I am. One stop away from streaming. Stadia does need atleast a 25 mb/s internet connection, but they are only rolling this out in the US, Canada, UK and Europe (initially). Streaming is not supposed to be something that applies to the whole world. Nobody believed in Spotify and Netflix, look where we are now. Ill stay with Nintendo and Microsoft. So investors thinks an always online cloud gaming service is going to overtake consoles like Switch and PS4? Do they not know the history of how awful cloud gaming is: Sega Channel, the Satellaview Service, Gaikai, OnLive, etc? Sure Google is a bigger name and a larger brand but c'mon, you can't take away the fact that game performance through the cloud of any kind would be a less than stellar experience, once the storm hits or bad connections came that experience will fall completely flat on its face just like OnLive. I might get a lot of hate for this but I can honestly see Apple wanting to buddy up with Nintendo in regards to making their mark on gaming.. Universal appeal, global audience and fan base.. it just sort of fits? Most investors think short-term. Google Standia isn't the first cloud gaming rodeo, nor will it be the last. It will take time to convince your average gamer to stream it, not have a local copy on their console of choice. @MrYuzhai Apple likes re-inventing the wheel to pocket all the money, so I'm not sure they'd partner. BUT the relationship is already there, and is a good fit....I don't know, it's possible. Not helpful for people not in the Apple hardware ecosystem though. @sixrings The major difference here, beyond ownership issues, is the technology itself, and also a fear of its explotation. Satellite radio didn't take off. But it never competed with CDs. It kind of lingers weirdly in the automotive space. Internet streaming is what ended up competing with CDs, but the price is right. $10/month, half the price of a traditional CD and negligable totals to access EVERYTHING. Though that model isn't sustainable industry-wide, artists make their money with performance. Netflix still hasn't replaced DVD, but it's popularity is still possible in that it's not real-time. It doesn't matter how slow your internet is, it can just buffer the whole thing over time. And it's cheap. $10mo for everything on one service. Live TV is more expensive for broadcaster fee reasons. Gaming.....if they can give us a smorgasbord of gaming for $10/mo maybe that's a good deal. But I can't imagine it being that cheap. Or if it is that cheap, that's the demo version and then microtransactions and DLC and "add-on subscriptions" will make up the rest of revenue. But beyond that is the underlying technology. Video and music isn't real-time 2-way communcation. real-time is hard enough on LOCAL networks at times. Over the internet, it's just a use of the tech that doesn't work...meaning games will have to be designed to be "sloppy" in controls to make it work. Great for Sony style interactive movies. Not great for actual games. Worse, the minimum network requirement for it is a network ability that simply doesn't exist at all in the majority of territory. So it's effectively only available "in select cities" even if it's considered an international release. This isn’t news. Yawn. There’s no way that this will ever sell, google just isn’t a brand that people think of when they want games. I don't think Nintendo or even Sony are worried about this. Both companies are swimming in money like Scrooge McDuck, and both have consoles that are selling like the tickle-me elmo's did! I don't think this Google-thing will be a big success. It'll sell when it arrives, but after a while, who wants to just pay big money to play games that you won't even be able to keep. IF this becomes the future of gaming, with no more retail games to buy, then that's when I'm out and just relax and enjoy my older consoles with the games that I OWN! Yeah, I don’t ever see Nintendo or Sony exclusives being played on this streaming monstrosity. I honestly don’t see streaming games taking off anytime soon either. Not until all of the major markets in the world have reliably fast and affordable internet. Which is a long ways away here in the states. I will say, I do like the option of a Netflix for games. I’d prefer the route Microsoft is taking with its game pass over streaming though. It’d be a nice way for gamers to play games they normally wouldn’t bother with while some revenue still going to the developers in whatever percentage they make. Similar to how music streaming is. Sony and nintendo have money. But Google and Microsoft have way more money. It's not even comparable. These people are smart people. It's not comparable to past failures like Sega. If these two companies are doubling down on this then they must have researched and know there is a market for it. Even smart people fail every now and then. I just wouldn't bet against them. Some investors are easily impressed. Stadia has potential though, I admit. There's plenty of people who just buy a console for things like assasins creed and fifa. My nephew buys every years version. He rarely touches his switch. My sister would love this set up. what if this thing fails? i'd feel bad for thoese investors now. It’s definitely good for some people. I basically use GameFly right now for the games I don’t outright buy. I still think Xbox Game Pass is a better idea though. The absolute best scenario is if a subscription allowed the person to stream or download in regards to their preferences. In less than a year, this will be become nothing. This will only affect the players who played the facebook games and they are gonna be the only ones playing it. And only if it's free. Investors are actually hyped for this thing? Sony networth 58billion. Nintendo networth 40billion Google networth 800billion. Microsoft 800billion. I like my nintendo but these companies aren't fools. This is going to take off. It’s only a matter of when. Of course, physical media will remain but it’ll be the equivalent of vinyl. Stadia is NOT a console, it’s a service such as Spotify. It just needs time to mature and expand. So Google wants me to buy their console so I can play Candy crush on my TV with a controller? Ah, another Google moonshot that that they will keep alive for years and years in spite of everybody's dismay with it. Or, another way for Google to harvest user information in return for very little of value. Or, another entrant to the game platform scene who has yet to learn how brutal the game playing public is to controllers and storefronts. If Google manages to surprise me with this, that by itself will be a surprise. Let's see if they manage to do what all the ones before them with the same idea didn't. I don’t feel that way, digital games can still be played offline. When an “online connection is required” to play said digital content pops up, then it’s a problem. With strada you can’t get around that issue. I’m getting older though, if there isn’t a generation beyond what comes next I’ll be well into my 40’s by then and maybe it will be time to leave gaming behind once users are forcefully tied to the internet. Don’t doubt the authenticity of Google’s endeavor. It’s not all doom and gloom. These companies put RISK out there for us consumers to buy into. Curved monitors, 3Dtvs, foldable screens....why hate on these ideas? Let them come out, see if it is worth an investment, and let your money do the talking. I for one am all for this concept to take hold. I currently have a 10mbps download and .5mbps upload. This will be crap for me. But you know what? 10 years ago my phone couldn’t even easily connect to the internet. 10 years before that I was signing onto AOL 6.0 and fighting my sister for the phone line. In another 10 years, our infrastructure could be much better. Don’t wish for this concept to fail....that benefits nobody. I own quite a few shares of Nintendo and this doesn't concern me at all. Granted, I'm part of the nerdy bunch, but you have to be a bit of a nerd to invest in Nintendo in the first place, amiright? 😒 I thought stock goes up for things that consumers want. @teixeiras "56k stream of 3gp movies"
I had to laugh at this part. It was just too real. Yes I don't understand that either. There is so many good things that will come even if it fails or successed. If this is done well, we can see some changes done in gaming that would benefit a lot of people. Maybe it can be similar to movies, they could have a download code with physical purchases. More cross play compatibilities, better internet for a lot of people. Faster released games (and more in a complete state as well), faster updates, etc. If it fails, then that means other companies will learn and better prepare for the future. Competition will still imrpove, etc. I'm not at all convinced about this, especially knowing how bad and/or inconsistent streaming stability still is in many parts of the world, and even in some specific areas in countries themselves, but knowing Google, they'll have the time and the money to keep this afloat for quite a while to come, so it's not going anywhere anytime soon, unfortunately. But as a pure console gamer, I'll truly mourn the day that this abomination has become a reality, as well as despise all the idiots that'll surely jump on board. So, I'm almost certain that it will have some measure of success, but I'm not convinced that it'll ultimately be a real threat to dedicated consoles. @USWITCH64 exactly. This is completely Niche. The advantage that Sony Nintendo and Microsoft has is streaming is 100 percent the future, but they already have established eco systems and their console base always them to ease people into this growing future. Stadia will be successful as a pioneer of this, but it’s jumping in the deep end head first into a market that still needs a lot of time. I prefer Physical (disk, cartridge ) I don't like streaming because you don't actually have the game your just playing a small portion of what you don't have. Plus if your on a car trip (I know Some cars now have Wifi- hotspots in them) and don't have internet how are you going to play these games which I think this whole idea just streaming is dumb. If you at home streaming then that is fine but on the go just would take a bit more effort on the gaming world. I will actually pick one of these up when they come out I just hope all the focus isn't just on streaming though Make actual games for it or something. @ThanosReXXX Don't forget we're talking about Google. I have Youtube TV at the moment. I've had periods of drop-outs and buffering on my ethernet-wired Roku Ultra streaming 1080p on gigabit fiber. I had one instance where they had my local channels listed, but what they actually streamed was the New York local stations in their place, with NY local ads. Then there was the 6 weeks they broke the Roku app scroll bar so you coulnd't hold left/right to scroll through the list of videos, you had to click individually for each jump. And I had like 200 in a row because it recorded every episode related to a daily show. And then when they fixed that, they deleted a bunch of things I wanted that I was supposed to still have for another 20 days. Now imagine all this during a boss battle. I'd be breaking a whole lot of controllers in rage fits. If toggle stadia goes to fizz now and fizzle out fast I will be very disappointed. It spells the start of a very irreversible process in destroying everything generatiinsbhave grown to love about video games. I'll try it if it's cheap enough, but, I don't expect it to be a real contender for my play time besides my Switch, Wii U, PS4, and PC. But, I'm guessing I'm not the target audience for this. I'd imagine that this will do really well with the younger demographic who aren't gamers. They have tablets, and cell phones, maybe chromecast on the TV, but no home console, or desire for one. Suddenly they want to play the latest Madden or Call of Duty advertised on TV or their friends are talking about, and they don't need to ask parents for 300 dollars for the latest console and game and can just get a controller and a trial or month of service (assuming it's not crazy high priced). This is aiming for the same audience that aims for Farmville, Wii Bowling, Guitar Hero games, Dance Dance Revolution and right now Minecraft and Fortnite. That means it could be a flash in the pan until they get bored and move on to the next thing. No ownership no thanks, no console no physical games. Just a controller, great... NOT!!!! But more importantly: lag in watching videos isn't nearly as annoying and/or critical as in games, so until they get it to work perfectly, this really isn't going to become as big as they hope it's going to be. And them being a big, wealthy company isn't any guarantee either. A heck of a lot other big companies have made royal screw ups long before them, and long after them, it will also still happen. Did I already mention how much I dislike that controller? And , yeah, Google has an amazing track record of failed endeavors. Fiber being among them. Since the hardware is almost identical for Switch and Nvidia ShieldTV and therefore easily could run Geforce Now, why do we need Stadia? Because it's Google? This will be down there with Infinium Lab’s Phantom console. Time to buy Nintendo stock then! Woot! I don't think it'll make a big difference. I believe it'll just be for like how Steam Link is made. Nothing to be concerned about. I don’t care for having a game in my hands, I’m digital only for a few decades now on PC and my switch library is digital only. My problem lies with the unpredictability of Internet service speeds in the state of Ohio where I live. I’ve been in homes with cable modems that struggle to allow Netflix video to stream without stuttering. Also it’s nice to be able to play single player games offline especially in cases when the internet is down. I tend to enjoy classics as it is, so I doubt I would quit gaming all together but instead play classics, it’s really the complete loss of end user control that I’m not a fan of. Apple’s music service for example doesn’t have certain albums anymore, or how Netflix pulls titles without notice, these practices aren’t something I want to be a part of gaming. Always online or no gaming allowed, that’s where I say..no thanks. Have to wait and see, so far on comments threads I see mostly detractors with a few people saying they like the idea. So that gives me hope. Totally expecting a bunch of "Nintendoomed"/"traditional gaming is doomed" articles from tech sites in the upcoming weeks. Should be popcorn worthy.. Meaningless drop. 4% brief drop is nothing. While owning a Switch and being part of the beta experience for Stadia, I can honestly say I see huge potential here. You will often hear the word seamless used when describing Stadia. It's quite accurate. I would play Assassin's Creed on my gaming PC with a 300mps connection then go to work (while on my break) and have the exact same experience. That's with a 50mps connection . "No one will download games because the majority of the population has horrible internet" People overwhelmingly download games rather than buy a physical copy today. Fanboy all you like, this is the future of gaming . You will be looking back 15 years from now and roll your eyes at the comments you are making today. Sure the share values drop, there is a new competitor on the market after all, a big company like Google even. Considering that, 4% is actually quite insignificant. I can only hope that this won't happen. On a Stadia related note, not impressed at all. Big words , big promises bottlenecked by internet and lack of games. The good however as mediocre as i see this becoming is that more competition is always a good thing. No need for the giants to sleep on there comfy asses. This is stupid. If Nintendo sales and profits will ever be impacted by competition from a Google streaming service which may never catch on, then it will be a long long time from now. Exclusive content is what you need, and Nintendo has great franchises with a loyal fanbase. Lol, another streaming-box. They keep coming and they always fail. Only 4%? So does that mean no one thinks google play is going to do well? @iMarkU Movies and music can buffer; games can't, as it causes unavoidable input lag. But you want to know who WILL be our new streaming overlords? Team Xbox, that's who. Oh, and Stadia probably requires you to lug a controller around with your phone, right? Microsoft doesn't. @LucBL You misspelt "Project xCloud." @Ttimer5 Fact: Investors like things that are new. And shiny. Preferably both. I hope to finally see mk9 with this news.